Rahu-Ketu are Casting a Shadow Over the Real Arijit; His Best Still to Come! This singer with the golden and mellifluous voice, who has delivered some of the most popular and successful songs in the recent times, seems to be losing out on his magic and popularity. 1) Is it true that the wonderful Singer is slowly fading away, OR, is it just a temporary transitory phase? Saturn is transiting over his Natal Saturn in Scorpio, and will be aspecting his Mars in Taurus during the entire year ahead. Rahu-Ketu are in half return phase. Rahu will be transiting over Natal Mercury, Jupiter, Venus and Rahu till 30th January, 2016. Arjit Singh is unfortunately passing through a phase of uncertainty and there is a higher effect of the malefic effects of the planets and this may prolong till 30th January, 2016. Despite the malefics being on the rampage, Arijit shall continue to put in his efforts and this will help him to bag more offers. And, the other important aspect of his Chart is that despite the negative influences, he will keep getting many offers and also he shall be performing in various concerts, but the quality of projects that he may get will not meet up to his standards and he himself as well as his fans will feel dissatisfied with his tracks. This situation will gradually improve post this period and we shall find Arijit returning to his original elements, with new and better projects coming his way! 2) Will he be able to present some more super-hit tracks in the year ahead? Jupiter is transiting through Leo which is aspecting his Sun in Aries, till 11th August, 2016. Then it will be transiting through the Virgo sign in his Chart. Due to the negative influence of transiting Rahu and Saturn and lack of much support from the current transit of Jupiter, he may find problems in getting good projects during the year ahead. However, his efforts and a serious approach will give him good offers, post 11th August, 2016, the time when Jupiter will be transiting through Virgo in his Chart. 3) Does he have it in him to become one of the best singers of the contemporary times? He has an exalted Sun in his Chart. His natal Venus, the significator of arts-creations-music-entertainment is in its Sign of exaltation (Pisces) and is being given company by a Swagruhi Jupiter, Mercury and Rahu. 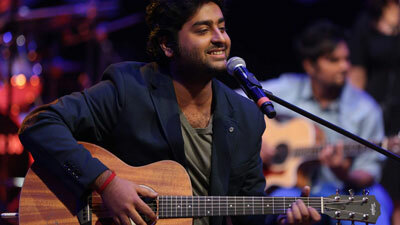 Arijit Singh is sure to regain his glory, which seems to have faded away. He is destined to become one of the greatest singers of all-time, as not many people are born with such wonderful planetary placements. He will always have to keep practicing and shall keep trying out different varieties of singing. As the magnificent Stellium of planets in the Sign of Pisces is afflicted due to the presence of the Nodal Axis therein, Arijit's path to ultimate glory and greater success will not be easy, but with great dedication and perseverance, he shall be able to achieve the top slot! Ganesha wishes good luck and a bright future ahead to Arijit Singh.